As any fan of the Zelda series likely knows, an HD remake of the game is coming to the Wii U this October. 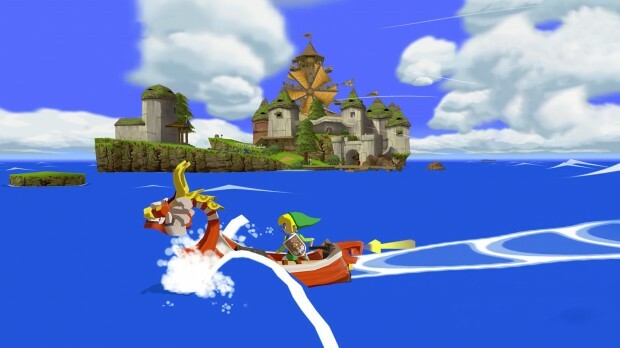 This announcement sparked a bunch of discussion among people I know, and as with most Wind Waker discussions, this eventually lead to a conversation about traversing the open ocean. It's a pretty notorious and ill-loved aspect of Wind Waker, and a direct source of a lot of hate on the game. 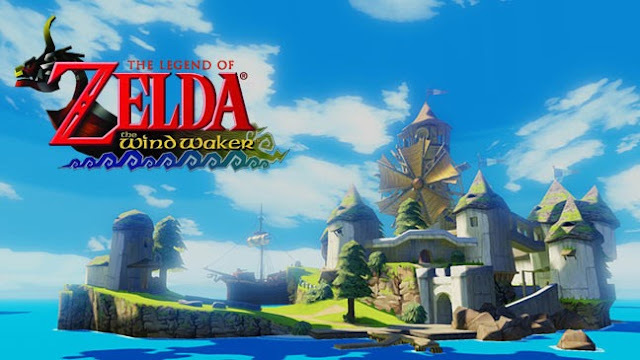 So after some discussion and some thinking, I thought I would spend some time talking about this aspect of Wind Waker, and travel time in video games in general. So at it's root, the issue here is pretty obvious. Travelling for large amounts of time is typically uneventful and boring. This isn't always the case, some games manage to make it interesting, but I'll talk about that more later. Essentially what it comes down to, is that there needs to be something to occupy your mind continually while travelling. Sometimes this can be as simple as having something really pretty to look at. Travelling can in itself occupy some brain power too, especially if navigating something like a city, which would also them have traffic and such. However if you are crossing a distance large enough for it to be labelled as "travelling", then chances are the points in time where you need to wonder "which way do I go now?" are far enough apart that there is plenty of time for boredom to creep in. And yet, other times you may be travelling by air or by sea. In which case, you are likely moving in a straight line and navigation isn't even a worry. So let me give you another example of a game that does travel time poorly. You may have heard of Just Cause 2. It's an open world game with a massive world which focuses on blowing up property and doing silly things with the grappling hook. However it also so happens that the world is so large, getting from one point to another can take an agonizingly long time. To make matters worse, being set in the fairly rural island nation of Panau, the roads are fairly unoccupied, and more to the point it's almost always better to fly places anyways. Flying awesome jets is cool and all, but soaring through the skies in a straight line for 5 minutes at a time is pretty dull. It's to the point that, dying is really only annoying because it means you are going to need to make that journey again. The only times that travelling is fun, is when you discover a secret of some description (which only exist on the ground), or you are grappling hook jumping (which is slower than most vehicles). I've personally never dreaded travel more than in this game. With that said, let's now move on to the other end of the scale. I've never not dreaded travelling as much as in Saints Row the Third. The game does 2 main things to keep travelling fun. First off, it's entire city is designed to be dense rather than vast. It never really takes that long to get from one place to your destination. The other, is that it offers constant opportunities for rewards along the way. Going on foot? Might as well go streaking at the same time. Going by car? Drive in the opposite lane and dodge cars. Going by air? Fly close to the buildings, barely missing. All these things reward the player with Respect points, and this means that you always have something to do no matter where you are going. What's more, it adds challenge to travel - it's certainly harder to drive against incoming traffic, but if you are rewarded for doing so why would you ever not do it? 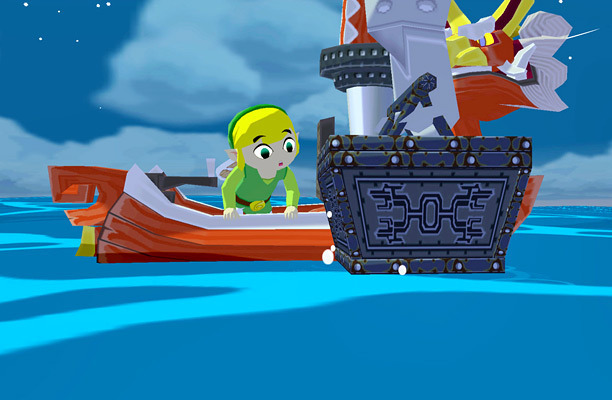 So the question then becomes, where does Wind Waker play into all this? Personally I feel like it depends a lot on how you play the game, but for the average player it probably lands closer to the Just Cause side of things. The Great Ocean is doubtlessly vast and mostly empty, but It's not devoid of distractions. To me, being something of a completionist, I never found the ocean that boring. It was always enough to always be on the lookout for baddies, treasure and the splash of fish in the distance. There aren't always a lot of active things to do, but for those that care about them, there are plenty of things to be on the lookout for. By the time you start to feed all the fish and find all the treasure, you start getting warp spells to aid in your travelling. For someone who maybe doesn't care about dredging up every sunken treasure or feeding all the fish to uncover the map, I definitely see why this seafaring would be dreadfully boring though. 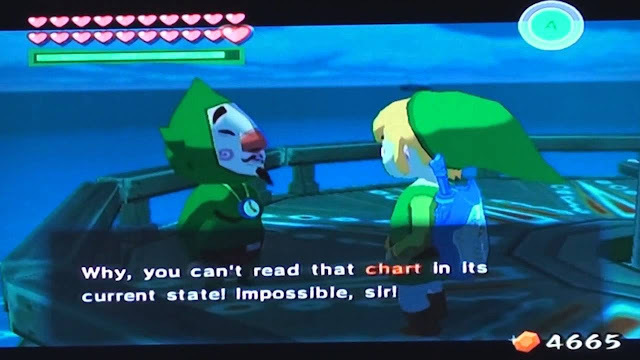 In the end of the day, the only reason Wind Waker's ocean was ever so big was really because of the technical limitations of the Gamecube. The game's engine needed enough time to make sure nearby islands were properly loaded before the player came in range, and increasing their travel time was the way to do it. The HD remake will have improvements in place to make the experience more painless, and it's unquestionably for the best. I think we all know that the game's real bugbear was that money grubbing &*$% Tingle anyways.